A website is just one part of the whole marketing plan for generating conversions for the client’s business. 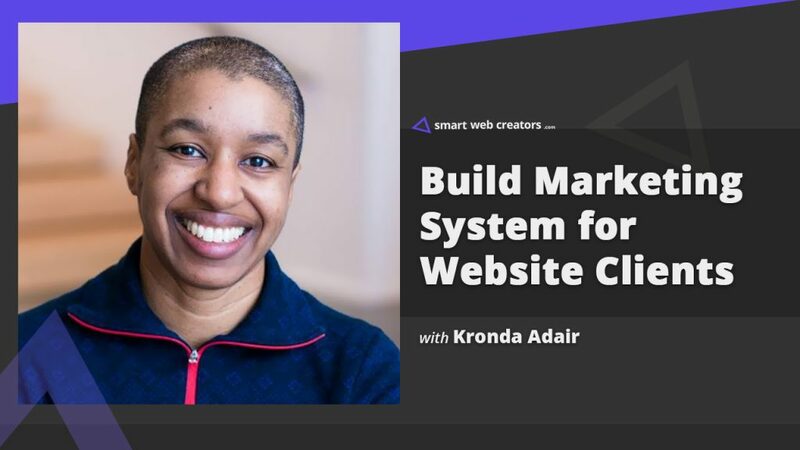 Kronda Adair focuses on the bigger picture of building marketing system for website clients that profits their business with more conversations. This is important for a new business with no online presence and even for an existing business with stagnant online presence. For example, I have a new business of hair cutting salon located in a busy suburban area. I have the offline presence but no online presence. What is the first thing you do when such a client reaches out to you for building online presence of that business? Do you meet clients in person or do everything online via video calls, emails etc? Besides the proposal of having a website, what are other basic items in the marketing strategy for developing an online presence that results in conversions? New businesses are new to a lot of things including their target audience. So, what methodology or brainstorming process do you use to build the ideal customer profile which later becomes the center point for the marketing strategy? In the journey of converting a fresh lead into a paying client, how do you decide on primary milestones of this journey? Content writing is a very important aspect of marketing strategy. How do you decide on pillar or cornerstone content for the business in question? Who writes this content? Do you have a content writer on the team or outsource it or it is a client responsibility to bring the content? Once the website is launched, how do you funnel in fresh leads into the business? Are you just relying on the implemented content strategy (which can slow and long drawn process) or also use faster methods of paid ads, sponsorship? Where does social media strategy fit in this mix like regular posting on the Facebook page, Twitter, LinkedIn, Pinterest and even email list building? While on-site SEO is done during website building, do you also work on off-site SEO once the website is launched, like doing extra bits to get quality backlinks via guest postings or partnerships? How many days or weeks after the launch, do you start to measure and analyze the performance of the executed work (which is a website with a targeted marketing strategy)? This is a learning process for everyone, how do you deal with clients not happy with the achieved conversions as against projected conversions? Now let’s focus on the other type, an existing business with stagnant online presence. In this case, you already have a lot of data to make sense of things. So, how do you collect and process that data to find the basic direction change in the marketing efforts of that business? In most such cases, do you rebuild the whole marketing strategy including website from the scratch or prefer to tweak existing properties for desired results? How important is the competitor analysis while defining new marketing direction for an existing business with stagnant online presence? I see you explicitly mention prices on your website. Do you stick with these prices for all type of projects or value pricing kicks in for selected few? You also offer monthly retainer option, at what stage in the client communication process do you pitch this and what has been the conversion rate so far? Do you provide ongoing support by yourself or have few employees or outsourced team? Use CloudApp for video and image sharing with clients. Use Flywheel hosting for all client website hosting. Beaver Builder is used to build website page layouts. Use Thrive Themes for landing pages for A/B testing setup. 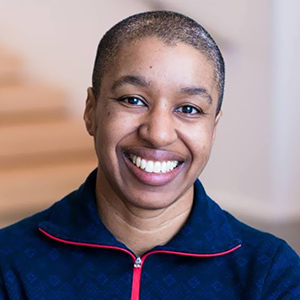 After a lot of bouncing around in different retail jobs, I went to work as a project manager for a tiny marketing startup. A meeting with a developer launched me into a totally new direction. I went to school and graduated from the Art Institute of Portland with a degree in Web Design and Interactive Media. Then eventually went on to start my own business making WordPress sites for small businesses. Great, Keep up the great and hard work.